It's been tropically hot for weeks now. And high temperatures are not my thing. I can feel myself wilting like a cheap flower. One day I actually put on some jersey jogging shorts, because I didn't even wanna try anymore. But that turned out to be bad idea. Because of those baggy shorts, I felt even worse. I didn't feel like doing anything. I like to call this effect of bad clothing Jogging Pants Syndrome. Jogging Pants Syndrome starts with dressing like you don't care. Like you're lazy, and don't want to do anything. When you dress like that, it's like a self fullfilling prophect. You start to feel even lazier. And I went to my closet and took out a white dress with small straps. It's just as suitable for wearing during a heatwave as baggy shorts. Only you still look good, and like you care. 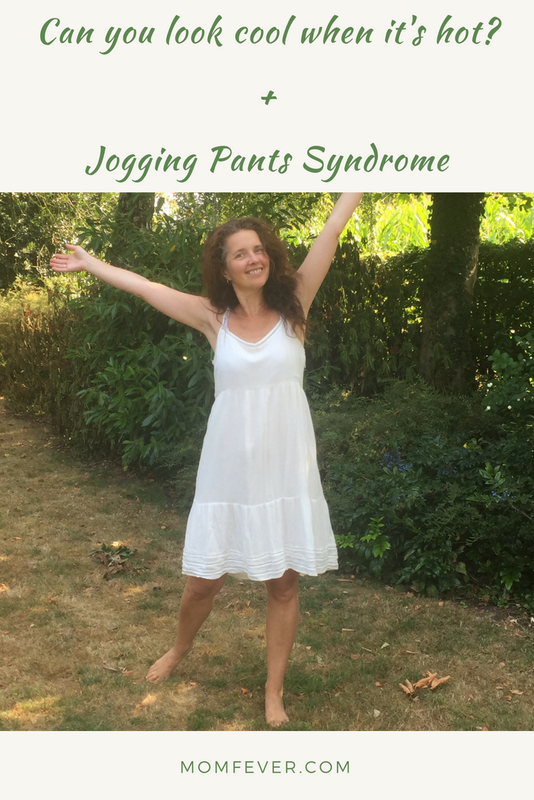 That's how you beat Jogging Pants Syndrome! Just take care of yourself, dress nicely! Can you look cool when it's hot?